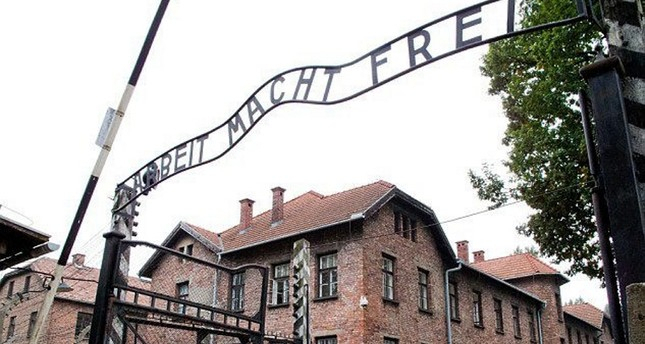 An American man could face up to 10 years in prison after being charged with attempted theft of a piece of the train tracks located at the Auschwitz-Birkenau, a former concentration camp that now serves as a museum in Poland, local media reported Monday. Reports said that the man could face jail term since the item he tried to steal is considered to be "of cultural importance." The campsite was established by Germany during World War II. It was the biggest Nazi concentration camp in Poland where over 1.1 million people were killed between 1940 and 1945. A police spokesperson from the Oswiecim village where the museum is located in told the local media that the man admitted his guilt and has been released from custody, pending trial. The campsite, which has been turned into a museum that attracts over 1 million visitors each year has previously faced vandalism attempts before. In 2018 two Hungarian tourists were detained and fined for trying to steal bricks from the site, according to the reports, while in another incident, an Israeli teenager was fined after being caught urinating on a memorial dedicated to the victims. In 2009, suspects who were accused of stealing a sign which was found cut into pieces were handed down prison sentences ranging from 18 to30 months. Auschwitz-Birkenau concentration camp was designated a UNESCO World Heritage Site in 1979. The camp is a widely-recognized symbol of the Holocaust as some 1.1 million people, most of them European Jews, perished between 1940 and 1945 in the camp before it was liberated by Soviet forces.